The Viking Lodge is located along the San Miguel River. Complex amenities include a year-round pool, common hot tub, on-site parking, and elevator access for some units. Viking Lodge Apartment with a Patio Near the River. 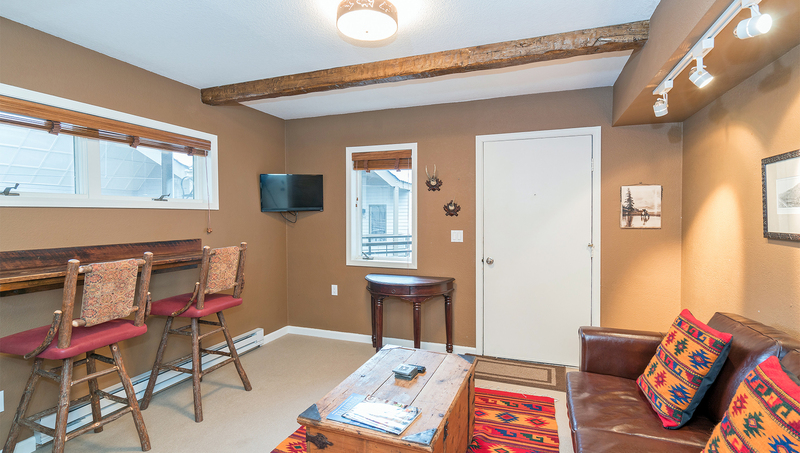 This 1-bedroom/1-bath condo on the ground floor is all you need to be close to historic downtown Telluride, the ski area and Lift #7, and even has a year-round pool and hot tub. 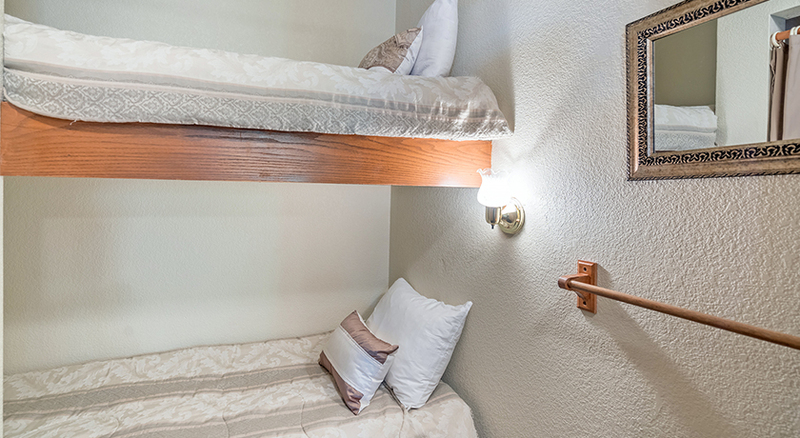 Beds: queen bed, queen sleeper sofa, and a built-in bunk bed. 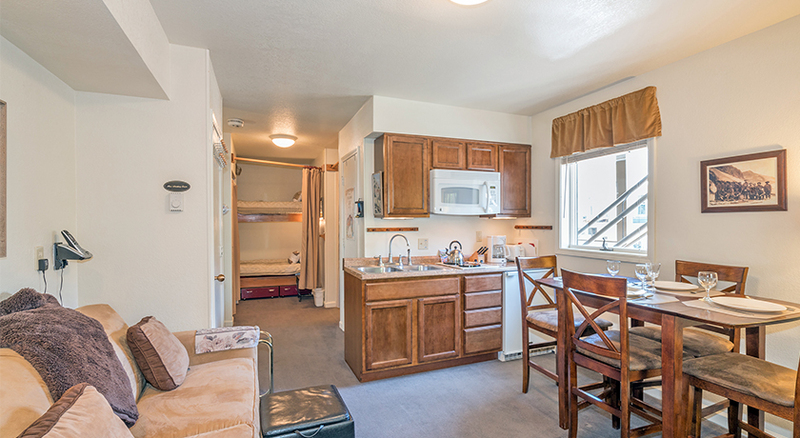 This relatively accessible unit at the Viking Lodge apartments uses space efficiently for classy affordability. Entering the condo, you're in the bedroom with a queen bed, 32-inch flat screen TV with DVD player, and bunk bed with two twin beds. Across from the bunk beds there is the ample vanity area outside the bathroom with a shower-tub combo. In the next room is the kitchenette with granite counter tops and clear-pine cabinets, two-burner cook-top, full-size refrigerator, and dishwasher, as well as microwave, toaster, and toaster-oven for complete, simple home-cooked meals. Or just toast and tea. Also in this room is a round dining table for four, and a sitting area with a queen sleeper-sofa, 32-inch flat screen TV (HDMI) with DVD player. Another exterior door leads to a patio with table and 2 chairs, open to the shared lawn, River Trail, and views/sounds of the San Miguel River. The complex has a year-round swimming pool and common outdoor hot tub. There are charcoal grills near the pool for use by all. There is parking in the private lot, permits required. The common laundry room has new coin-operated washers and dryers. No pets, per HOA rules. The base of Lift #7 (Coonskin Base) is 200 yards away, the free in-town shuttle Galloping Goose stops at the corner out front, and the Town Park is straight east (up-river) in a 15-minute walk. 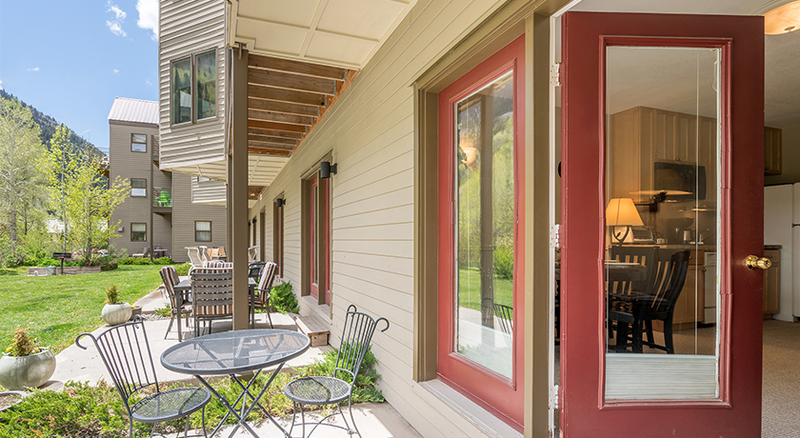 A note from the homeowner: "When we saw these Viking Lodge riverside units on our first trip to Telluride, we decided to visit again and chose to stay there. And eventually, we bought one. It's just the right size for us. It has a beautiful backyard you can easily access, just a few steps from the breakfast table. As an updated unit, it's one of the nicer Viking apartments. Being able to enjoy a pool and a hot tub right on site was a big plus for us. Lift 7 is a block away, and the Gondola a short walk from Viking." 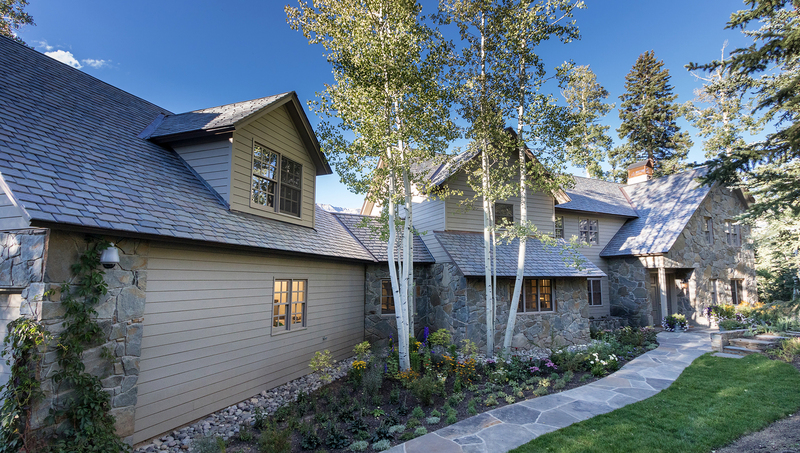 Viking Lodge is one of the best places to stay in Telluride! 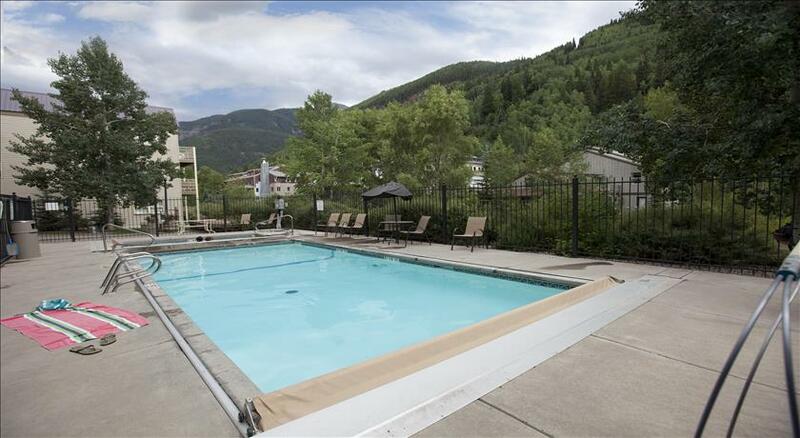 Located on the river just a five-minute walk from Tellurideâ€™s historic downtown, the condo complex offers a year-round outdoor hot tub and pool, common laundry, free wifi and easy access to both skiing and hiking. Bedding: King bed, twin bunk bed, queen sofa sleeper. Sleeps 6. 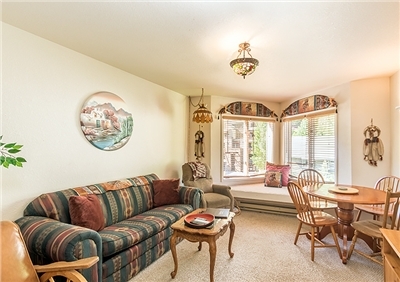 This condo is a one-bedroom end unit located on the second floor of the Viking Lodge. 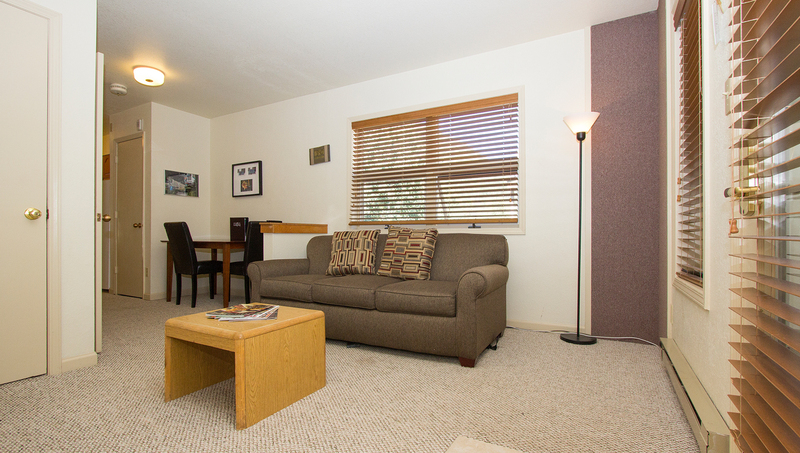 As you enter the unit, you will find yourself in a small living space with a dining/sitting area for four people. The living area features a queen sofa sleeper, a flat screen TV, kitchenette with a two-burner cooktop (no over), mini-fridge and a microwave. The lone bedroom features a California king bed, flat screen TV and a balcony with views of the San Sophia range and the box canyon. 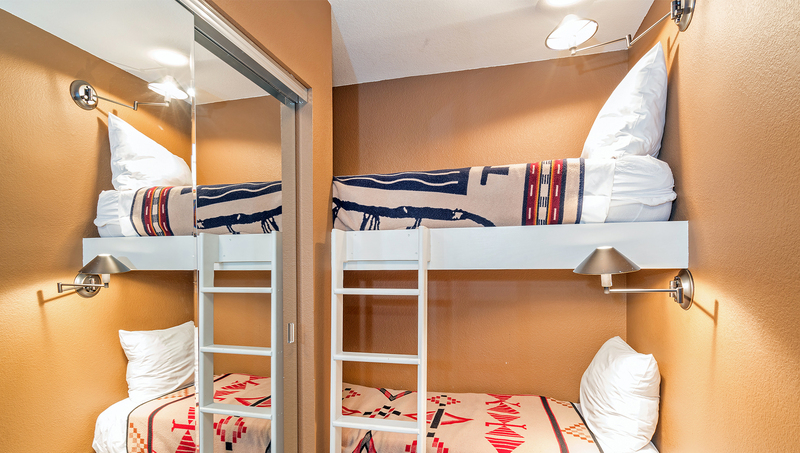 A twin bunk bed is located at the end of the hallway for extra sleeping space. The bathroom is located at the end of the hall and has an additional vanity area in the hallway. The bathroom itself features a shower/tub combo. A note from the homeowner to their guests: We moved to Telluride in 1962. We were a mining engineer and school teacher. We bought a house in town in 1963 and we sold it in 1979 after being gone from Telluride for three years. After longing for Telluride and the mountains â€“ we bought a condo in the Viking Lodge in 1992. We like the Viking because it sits between Lift 7 and the Gondola and it is a quiet area. The River Trail is handy and fun to walk on and we appreciate it being a second-floor end unit. We use the unit ourselves for skiing, hiking, four-wheeling in the summer and â€˜Grandma and Meâ€™ trips. 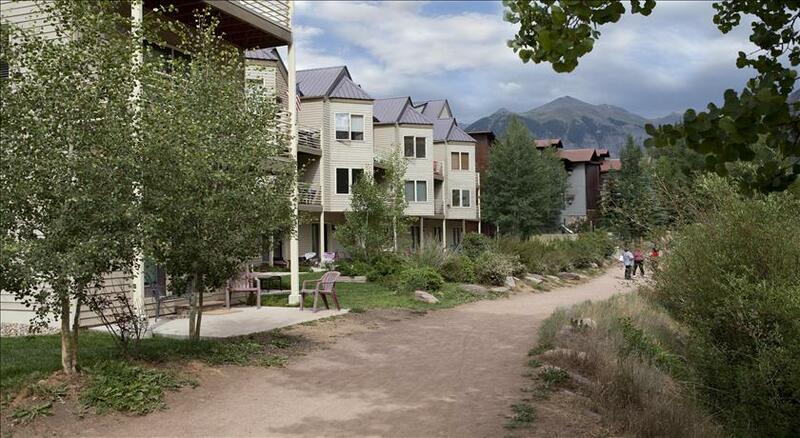 Best Value in Telluride for the Slopes or Downtown. Viking Lodge is one of the best values in Telluride! Viking Lodge #216 is one of the sweetest apartments in the complex; it's on the river, a 1/2-block from Lift #7, just a 5-minute walk from historic downtown. Bedding: King bed and double sleeper-sofa. As you enter Viking condo 216, you're stepping into the bedroom with a king bed, flat screen TV, and ski rack to your right. 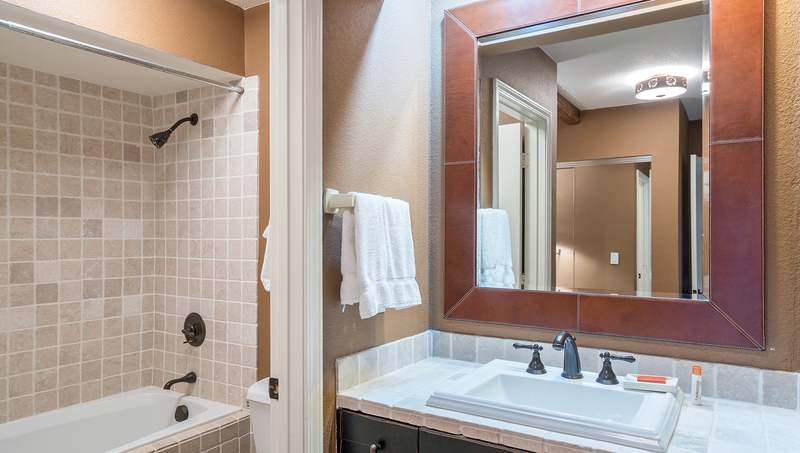 Past the bedroom, there is a vanity area just outside the bathroom with a shower/tub combination to your left, and stack washer/dryer in the closet to the right. 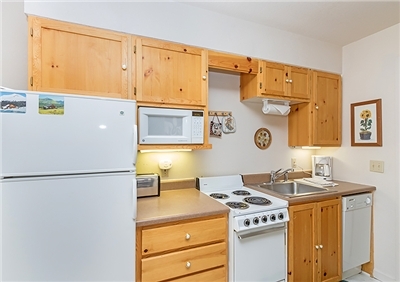 Beyond the bathroom down the hall, enter the kitchen area with a two burner stove, mini-fridge and a microwave. Also, a toaster, toaster-oven, coffee-maker and blender, for simple home-cooked meals. In the room is a dining area for 3; and a sitting area with a double sleeper sofa, CD-stereo, TV with DVD player. Double-doors open onto a small balcony with 2 chairs that looks out onto the San Miguel River. The condo also has a private washer/dryer and wifi internet. 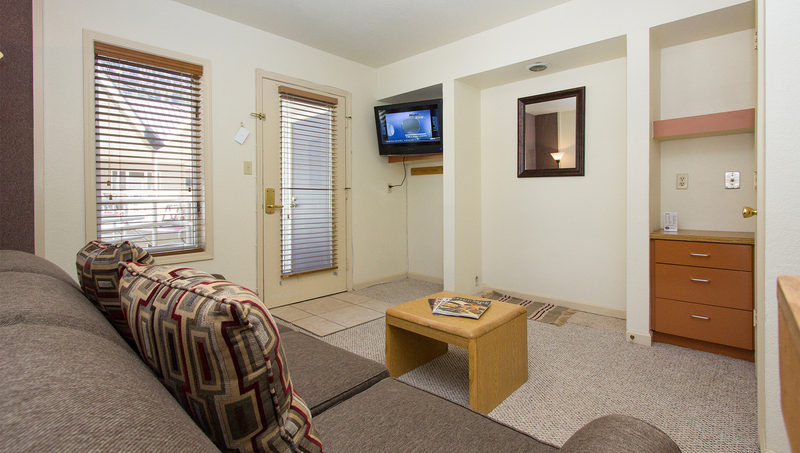 The Viking Lodge complex has a common laundry area, hot tub, and year round outdoor swimming pool. There is a charcoal grill in the common area for residents' use. Parking is an open lot on-site by permit. No pets allowed for renters, per HOA rules. 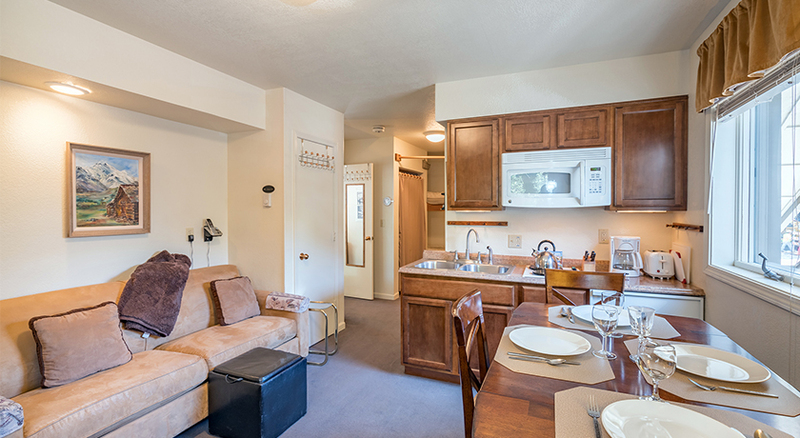 Get a feel for Telluride in this updated, one-bedroom efficiency suite in town! 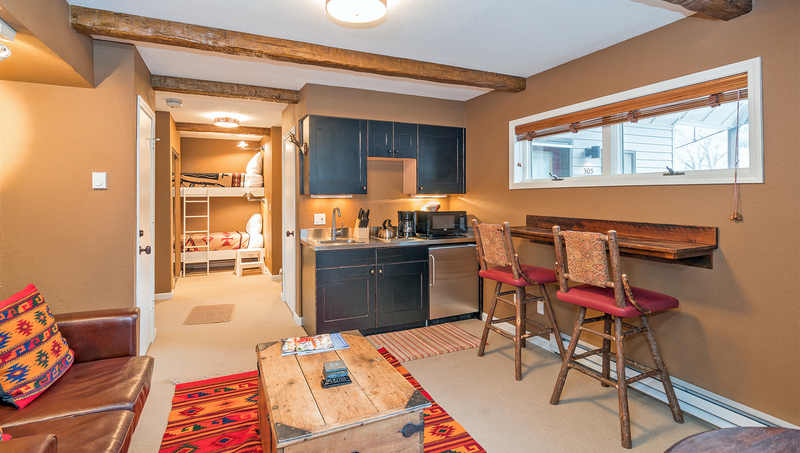 This unit in Viking Lodge is located five minutes from Tellurideâ€™s historic main street along the River Trail, making it perfect for a summer or winter vacation! Bedding: Queen bed, twin bunk bed. Sleeps 4. 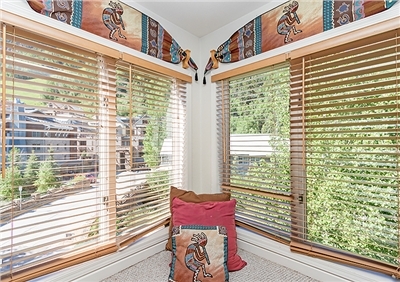 This condo is located on the third floor of the Viking Lodge near the River Trail, gondola and downtown Telluride. 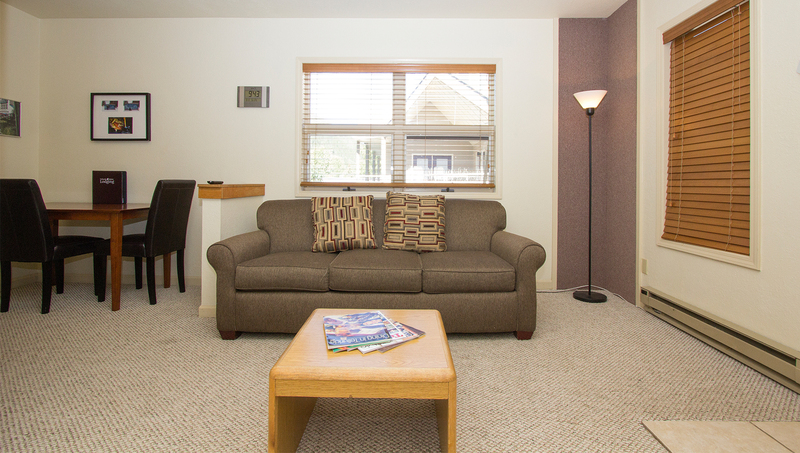 Upon entering the unit, guests are welcomed into a living space, complete with a couch, TV, kitchenette and small dining space for two people. The kitchenette has a stove, microwave and mini-fridge, but no oven. 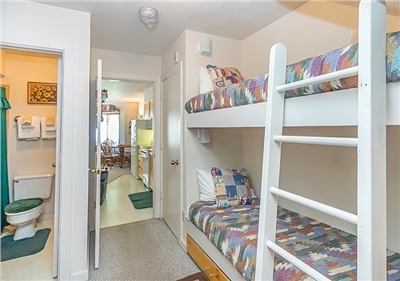 Continue down the hallway to a cozy space with two bunk beds just outside the bedroom and bathroom. The bathroom has a vanity area and a shower/tub combo. 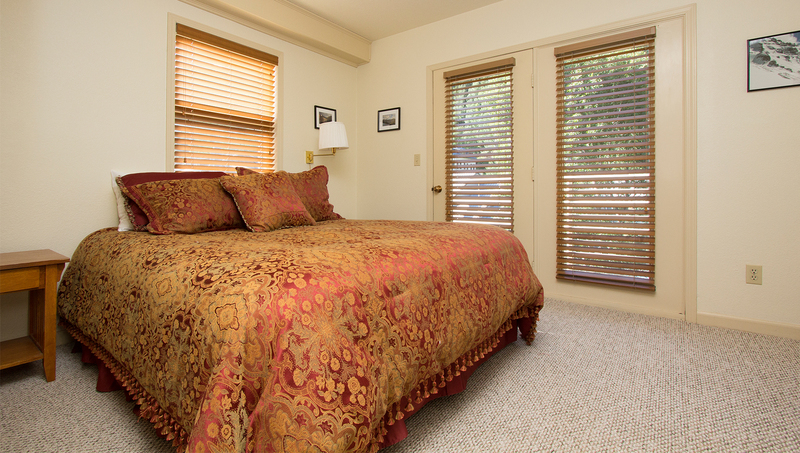 The bedroom is spacious, with a queen bed, TV, and patio doors that offer fresh mountain air and views of the mountains to the north. The complex has a year-round swimming pool and hot tub, as well as permitted parking in a private lot. This unit gets one parking pass. The common laundry room has coin-operated washers and dryers for guest use. 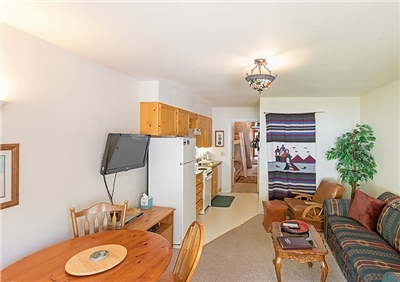 Located in the Viking Lodge steps from the river trail and the ski slopes is this one-bedroom unit perfect for your winter or summer vacation. Bedding: Queen bed, queen sofa sleeper. Sleeps 4. Enter this third-floor unit into a living space that boasts a sitting area with a sleeper sofa, wifi, and a flatscreen TV with cable and a DVD player. There is a dinette in the living space that can seat up to four people. Looking for a place to stash your gear? Thereâ€™s plenty of space to store hiking or snow gear in the entryway. The bathroom, which has a separate vanity area and a shower/tub combo, is located off of the living space. A private, stackable washer and dryer are also located off of the living space. 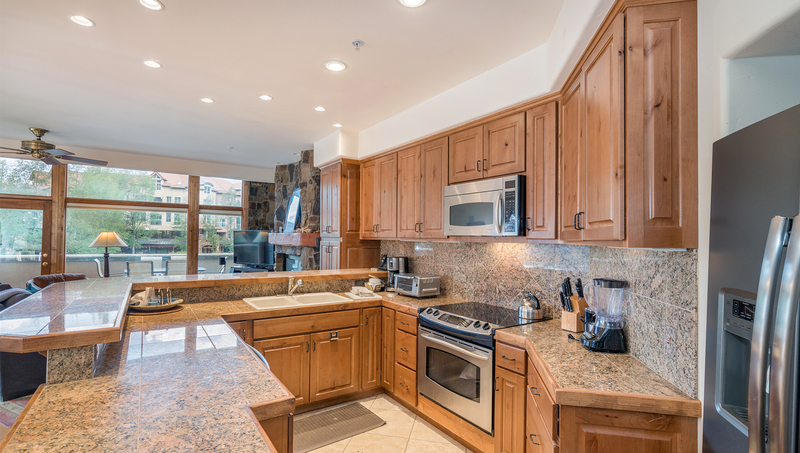 This condo also has a galley kitchen with a four-burner range, small oven, full-size refrigerator, microwave, toaster and coffee maker. 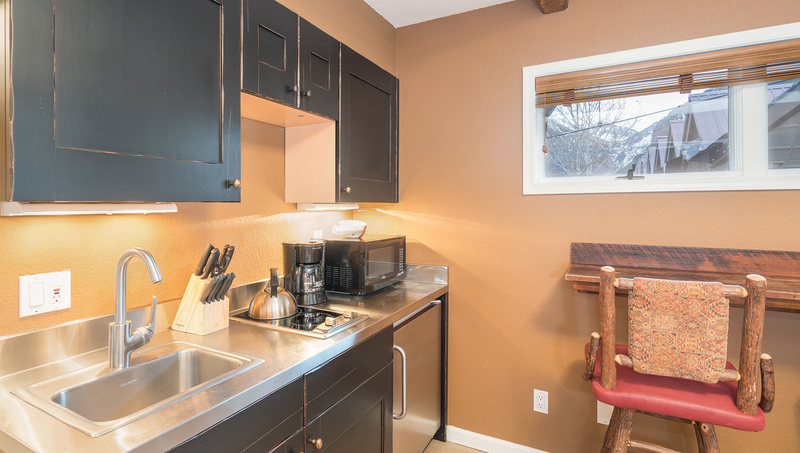 It also boasts all of the supplies needed to make a home-cooked meal right in your vacation rental! The bedroom is located at the back of the condo and features a private balcony with views of the San Miguel River and the surrounding mountains. The bedroom has a queen bed, a flatscreen TV and views from every window in this bright, airy room. 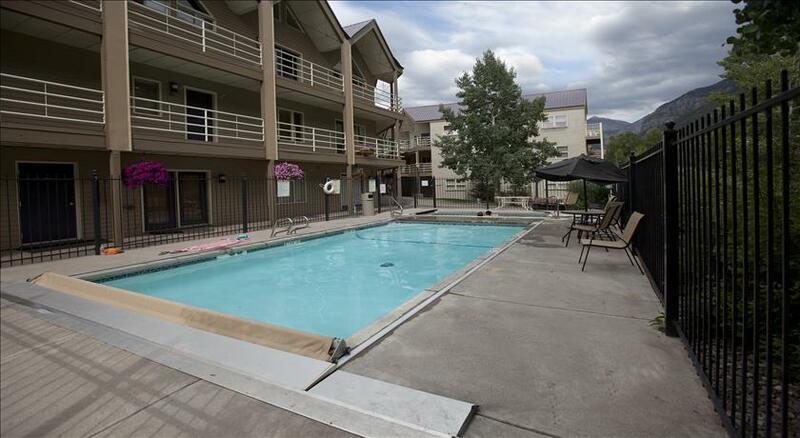 This unit is located in the Viking Lodge complex, which has a year-round swimming pool and outdoor hot tub. Permitted parking is available onsite. One permit is allowed per condo. No pets are permitted. No Space Wasted So Bring the Grandkids, Too! 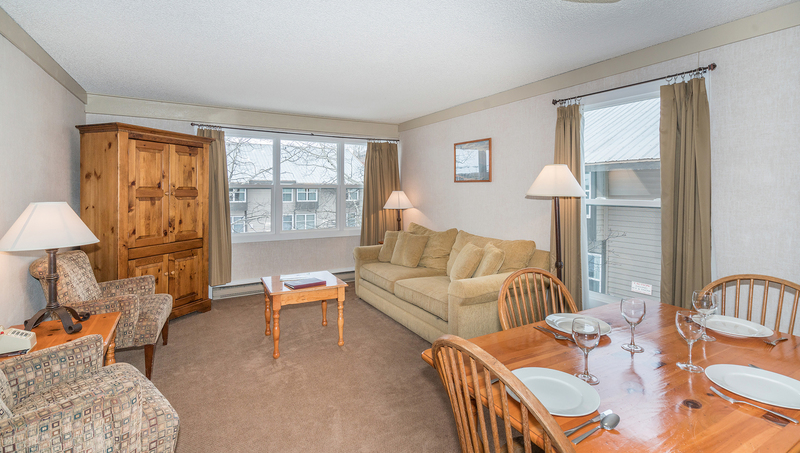 If you're looking for an efficiency with extra bedrooms and access to a pool, hot tub, downtown, and ski lift, this 2-bedroom/2-bath unit at Viking Lodge is the ticket. When you step into this condo, you're in an entry room with many functions. There is a loveseat with pull-out twin bed, a wall-mounted flat-screen TV (HDMI-port and cable), CD/cassette/radio, and built-in twin bunk bed (top bunk is short). To the right, the stairs go to the bedrooms. Ahead and off to the left in a recess is the stack washer/dryer, and a small vanity area. The door for the bathroom with shower-tub combo and toilet is next to the vanity. Continue walking through, and you'll be in the sitting room, with a compact kitchen. The sofa with queen pull-out bed and two easy chairs are on one side of the bay window, and dinette with 4 chairs on the other. On the wall between is a 32-inch flatscreen HDMI TV with Cable, and DVD player. And under that is an electric fireplace for ambiance. The kitchen area has a full-size refrigerator, a complete but skinny 4-burner range and oven, dishwasher, and microwave. A toaster, coffee-maker, and crockpot complete the selection of appliances. Upstairs are two bedrooms, each with a queen bed and vaulted ceilings. 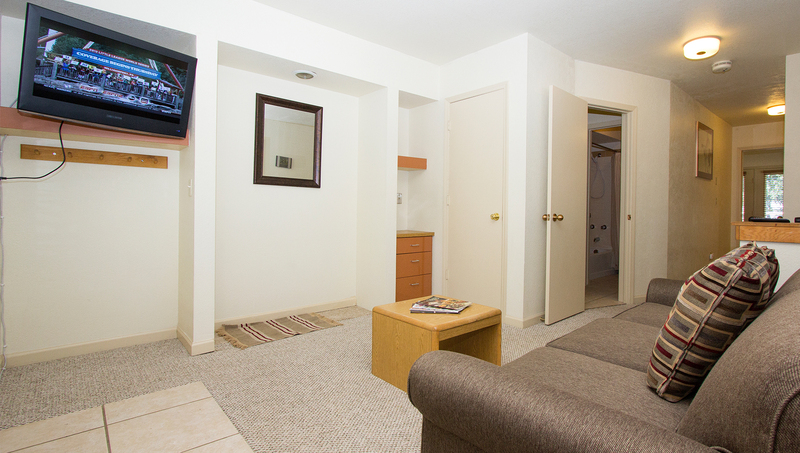 One bedroom has a 26-inch flatscreen TV, and the other has a traditional 19-inch TV. Between them is the 2nd full bathroom with a shower-tub combo. In the large landing area, there is a desk, making every space useful. This condo has wireless internet and a private washer and dryer. The view from the bay window looks over the San Miguel River and toward the ski mountain. Outside the entrance is a small ski rack with a chain that could be locked if you bring a padlock. The complex has a year-round swimming pool and common outdoor hot tub. Two charcoal pedestal grills are in the grassy area next to the pool and river trail, for residents' use. There is parking in the private lot. The common laundry room has new coin-operated washers and dryers. No pets allowed for renters, per HOA rules.